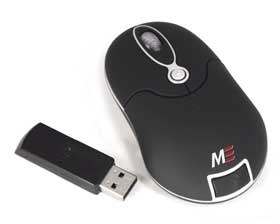 Portable Wireless Mouse Compact size easily stores in your case. USB plug and play, no drivers required. Works with Windows 95/98/ME/2000/XP, Vista and Mac OS.